Changes of the seasons often call for a change of products. The different temperature and environmental changes. Certain products are swapped for others to help protect our skin from these changes in the season. I thought I would use this time to highlight some skin saviours I have recently been using from summer into autumn. First up, we have a vitamin C & E antioxidant serum that helps reduce signs of ageing and much more! 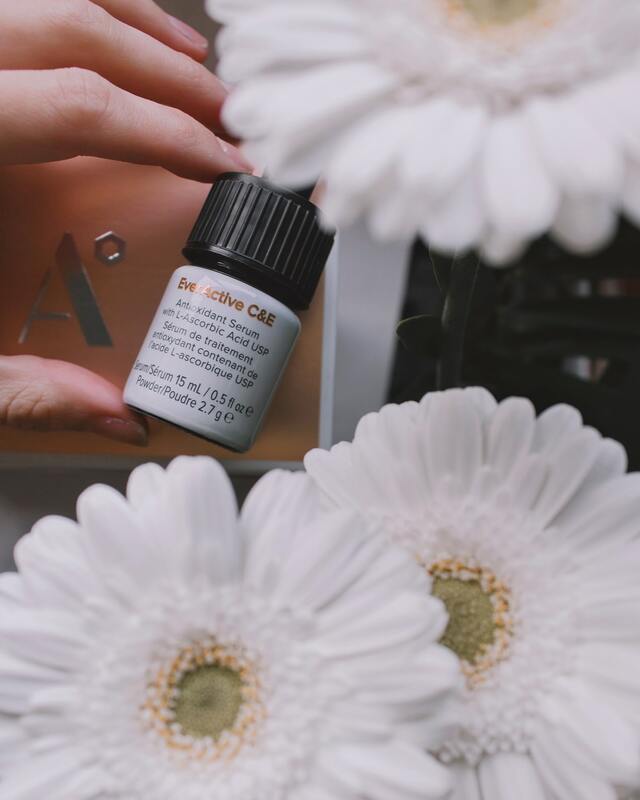 The AlumierMD EverActive C&E is a potent serum that allows you to have the freshest source of vitamin C as it is kept in the cap until you’re ready to mix the ingredients yourself before use. In a set of three bottles and one pipette to use, each bottle will last approximately a month. This means you have generally a 3 month supply of this powerful serum. 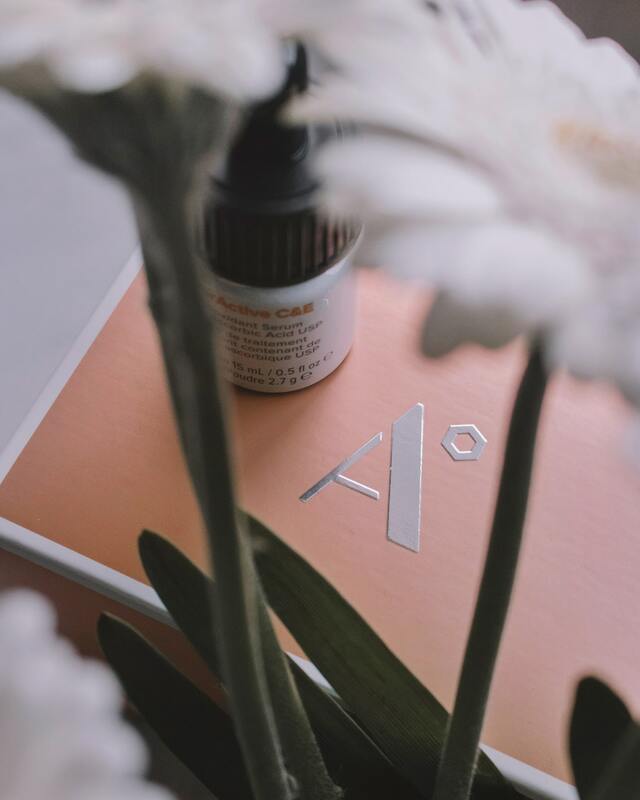 The geniuses at AlumierMD are making sure that you get the best source of vitamin C for it to have the best effects for your skin. By now, we see vitamin C serums everywhere to help promote the strength of your skin, as well as helping brighten it. The combination of Vitamin E adds so much more! Vitamin C and E help reduce the appearance of wrinkles and fine lines. This gives you a more youthful and revitalized appearance to your skin. The ingredients together as antioxidants help to protect your skin from free radicals and UV damage. You are getting the best of the benefits as this serum is fresh when you need it to be, as opposed to it sitting in a bottle and becoming less and less effective over time before you use it. As long as you keep up with using EverActive C&E on a normal basis in your morning routine, then you’re getting the best of the product the entire time. Bioderm is not new to me at all, but the Atoderm range is! 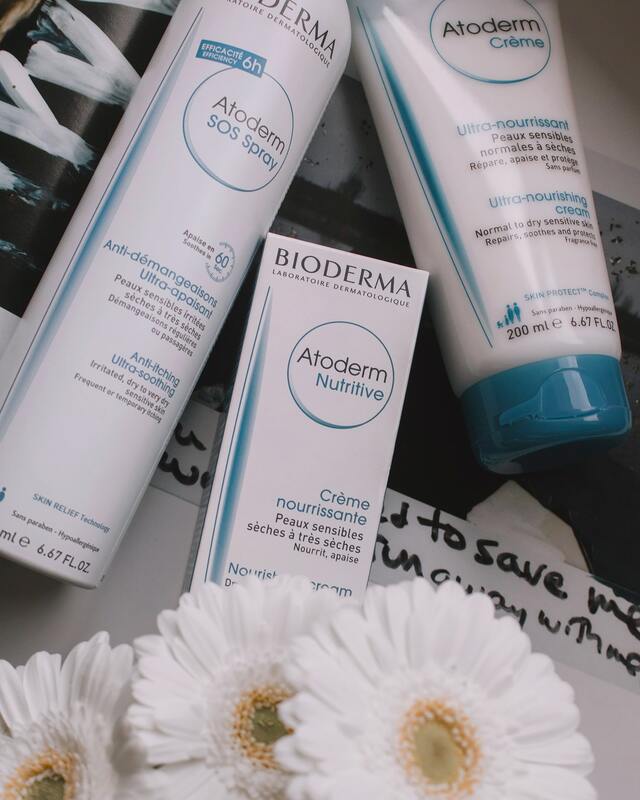 With the release of their brand new Atoderm SOS Spray, I received a package of Bioderma products to prepare for the oncoming winter. Winter really shows you how dry your skin can get and these products are sure to help with hydration. This range of products targets skin that is very dry or suffers from allergic-like reactions. Although my eczema-related skin conditions finally cleared up, dry skin is still a big issue come the colder months. The new SOS Spray is an anti-itching, ultra-soothing spray with a water-based cream consistency. Although like a spray sunscreen if you need to imagine what it is like, with completely different goals. This spray helps bring quick relief to itchy skin. It is safe to use on your face as well as the skin on your body. If I still had my itchy skin issues, I would carry this spray around with me constantly if it had existed over a year ago. I can recall waking up in the middle of the night only wanting to rip my hands off, so relief like this is greatly appreciated. The spray really helps get to spots that may be tricky as a cream, so I also appreciate how easy they made it when it comes to getting the relief in an instant. It is free of parabens, fragrance (that could further irritation), preservatives, and alcohol. If your skin isn’t in an uncomfortable state, the regular Atoderm Cream helps moisturize your dry skin. This comes extremely handy through the autumn and winter months. To pamper yourself, you can use the Atoderm Nutritive as a daily facial treatment. It helps to make your skin has all the nourishing hydration it needs throughout the day. I know I’ve already mentioned a Vitamin C product, but I needed to include a second option. This is just incase your budget doesn’t let you splurge that much on skincare. 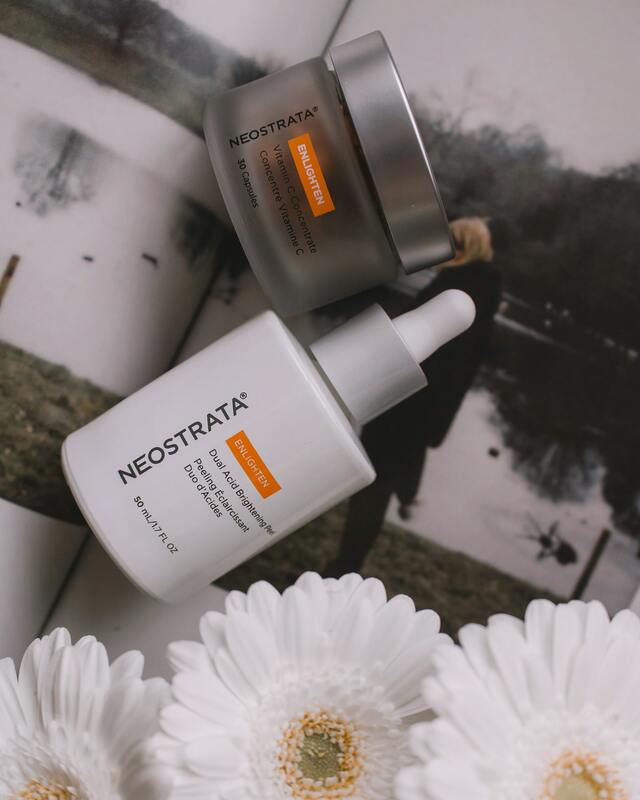 For a slightly cheaper option, we have the Neostrata Vitamin C Concentrate. Instead of a bottle of a serum, this product is a container of individually-portioned serum capsules. These capsules contain a vitamin C concentrate that helps promote more visibly radiant skin. It also helps firm your skin’s appearance and improves the skin tone. If you are travelling, this makes it really easy to take with you. Pack a few to use, one per morning, instead of an entire jar. If you want to further explore the Enlighten range from Neostrata, try the Dual Acid Brightening Peel. This is a treatment to further the effects of vitamin C concentrate. This dual-action peel provides skin smoothing effects and gives maximum radiance results with a high strength AHA/PHA complex and brightening peptide. These products are great for all skin types and all work to have brighter and firmer skin with an even skin tone and texture. Have you tried any products that have been impressing you for the change of season? Or maybe a product you have been enjoying year round? Let me know in the comments!